They are in custody at least until 25 January 2019. Twelve Ukrainian naval servicemen captured by Russia off the Kerch Strait on 25 November have been arrested by Simferopol's Kyivskyy district court until 25 January 2019. Three more have been arrested for the same term in Kerch. Russia insists they are suspected of trespassing its border (Article 322 Part 1 of the Russian Criminal Code). However, the Ukrainian ships were in neutral waters waiting for a pilot to take them through the Kerch Strait on their way from Odesa to Mariupol. 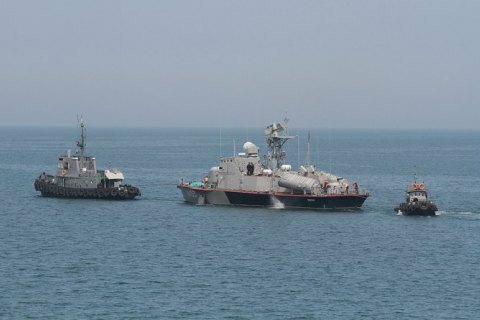 On 25 November, Russia blocked the Kerch Strait, fired on and seized the Yani Kapu tug and the Berdyansk and Nikopol gunboats together with their crews of 24 people. Ukrainian Foreign Ministry Pavlo Klimkin said that given that Russia openly admitted firing on the Ukrainian ships, the captured servicemen must be considered prisoners of war and treated accordingly.